This is a work in progress. I have wanted to post this for quite some time but was always waiting for another piece to arrive, at that rate I will never get it done, so I have decided to start now. In early European armies, soldiers fought while civilians were hired on to provide certain services. One of the main reasons for this was money; armies in the 17th and 18th centuries represented a significant portion of a state's budget. Services and items needed only for war were an unnecessary expenditure in peacetime, and armies grew to depend on hired civilians for certain items and services. It was usual, for example, to hire civilian drivers and their oxen teams to move artillery during campaigns, sparing the expense of maintaining the animals and drivers at all times. It was not long before an interface between the soldier-commander and these providers became necessary in order to ensure that the commander got what he wanted. 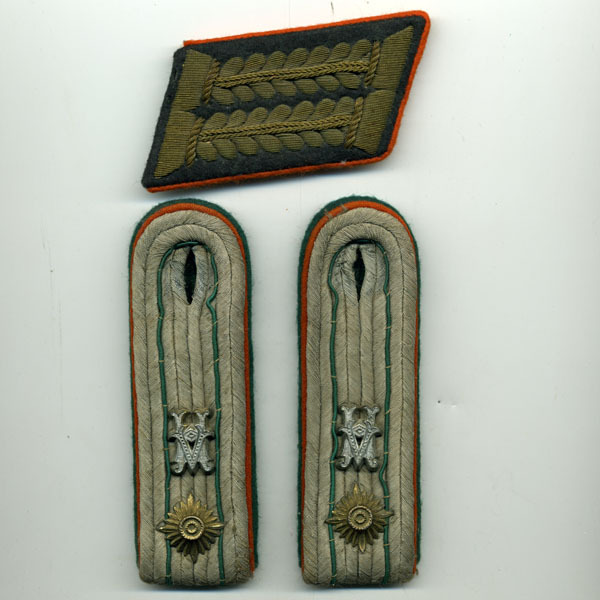 In both the French and German armies (and no doubt others as well), the go-between was usually a civilian appointed on a royal patent of authority to provide the army with supply and services. This individual, who gradually assumed the duties associated with what we would call a chief of supply and logistics, was generally afforded a title and a "pecking order" ranking which placed him in a relative relationship with serving soldiers. Comte de Rochambeau (commander of the French forces sent to North America during the War for Independence) had assigned to his suite a Mar?chal de camp who was the equivalent of a brigadier general; his uniform, of a distinct pattern and color, nevertheless bore the same rank distinctions as a general officer of equivalent rank. The German Army had back in 1700, created and maintained a separate branch for Administrative Official?s who were attached to all levels of the Army to oversee and conduct all administrative functions. This allowed them the opportunity to free up a lot of active army officer?s and allow them to conduct actual military matters?. The Official?s carried out a variety of tasks ranging from Barracks Administration, Court Martial, Hospital Administration, Librarian, Supply, Pay, Technical and Meteorological Services, Schools. There were four levels of careers for Officials. Each level had different collar tabs to differentiate the grades. What level of official you were was decided by a combination of education and /or experience you possessed. Lower career ? unterer Dienst or einfacher Dienst; a grade school education without any further qualification was required. 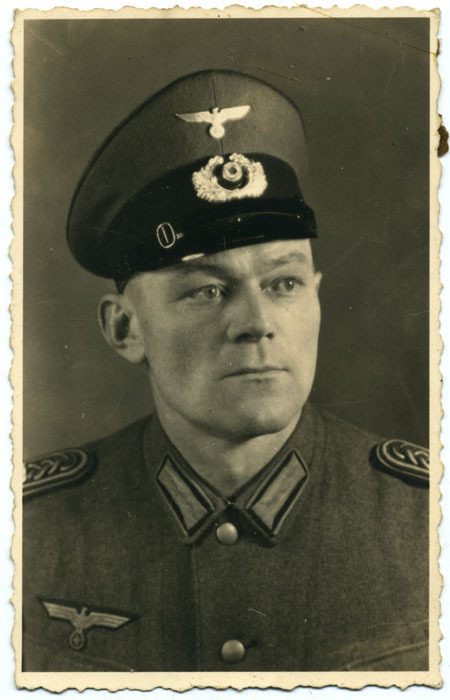 During the Reichswehr era Officials were divided between Military and civilian personnel. 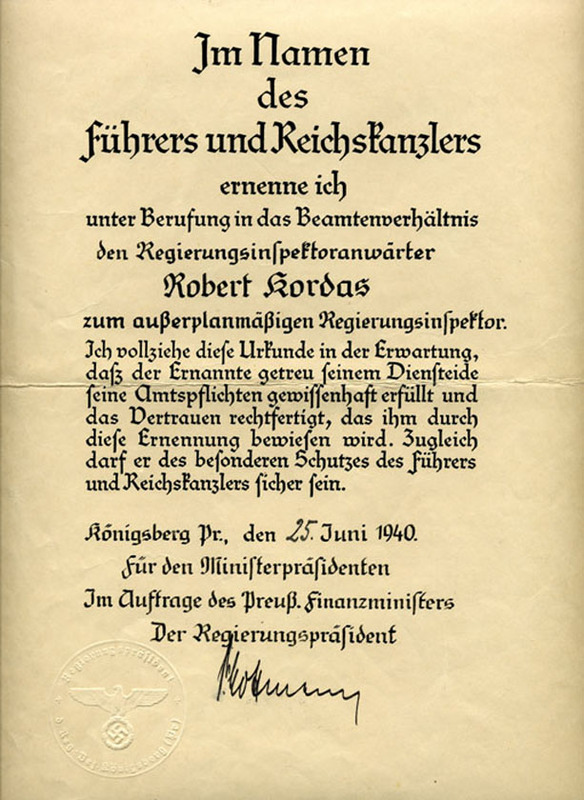 This changed on 22nd of December 1934, when the Wehrmacht High Command consolidated all officials into the newly formed Wehrmachtbeamte-Heer - Armed Forces Officials-Army. 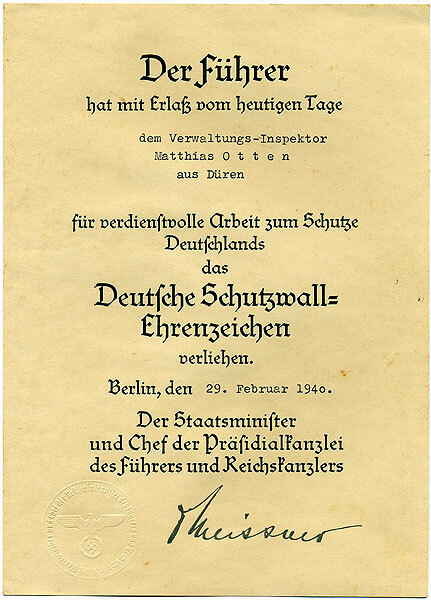 On the 12th of March 1937 new regulations reorganized the Officials and the position of Beamte auf Kreigsdauer a.K. ? Wartime Officials for the duration ? was created, this was only to be activated when mobilization was initiated. I will be making a seperate thread for them and the Sonderfuhrer. When the Wehrmachtbeamte was created Officials were allotted a waffenfarbe ? Branch of Service color - of dark green, with a nebenfarbe ? secondary color ? which indicated the actual career the individual belonged to. "Die Deutsche Wehrmacht Uniformierung und Ausrustung" by Schlicht and Angolia. 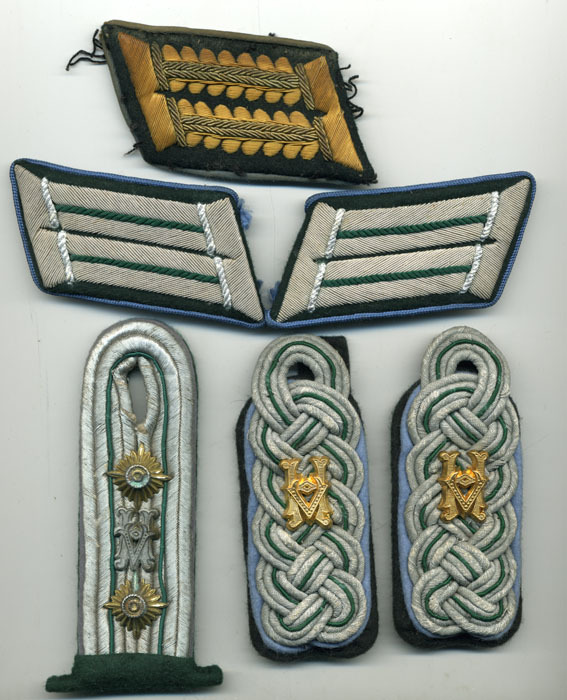 "TM-E 30-451: Handbook on German Military Forces"
This career only had the Medium and Elevated careers so the High career collar tab is a bit of an enigma but I posted it here in the hopes that someone might be able to help out. 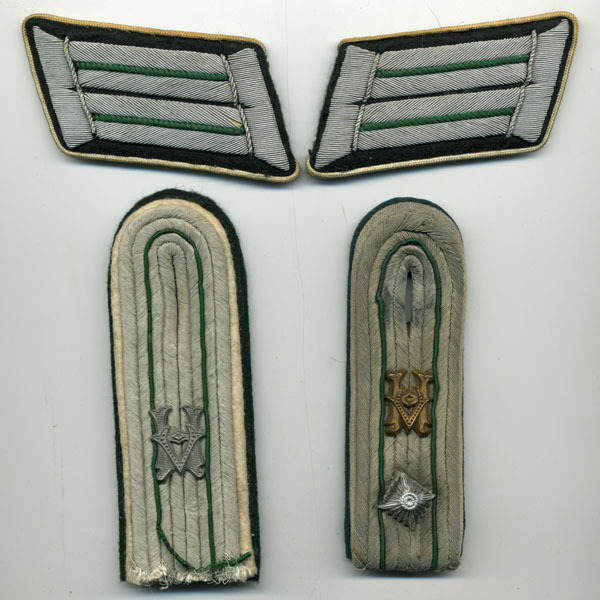 About a year and a half later he gets promoted to the rank of Regierungsinspektor which is the equivalent of a Oberleutnant. 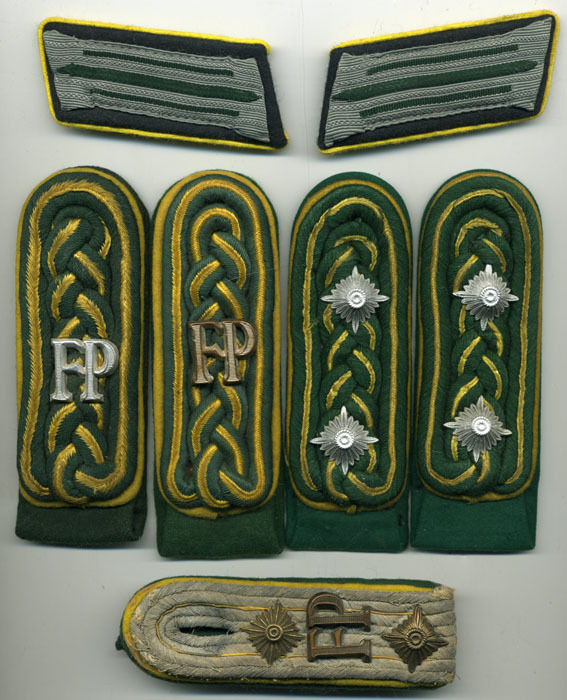 If you have anything to do with the Heeresverwaltungs please feel free to add to this thread....Uniforms, insignia, paperwork etc. DISCLAIMER: The following text is taken from the U.S. War Department Technical Manual, TM-E 30-451: Handbook on German Military Forces published in March 1945. Figures and illustrations are not reproduced, As with all wartime intelligence information, data may be incomplete or inaccurate. No attempt has been made to update or correct the text. Any views or opinions expressed do not necessarily represent those of the author. a. GENERAL. All administrative matters in the German Army are controlled at the top by the Army Administration Office (Heeresverwaltungsamt) in the Army High Command. Under this office the administrative agencies within Germany are organized on a territorial basis, with the Corps Area Administration (Wehrkreisverwaltung) as the next lower echelon. Below this, these matters are handled by the local garrison administrations (Heeres-Standortverwaltungen) and other specialized types of local administrative agencies. This entire system operates independently of the tactical chain of command. 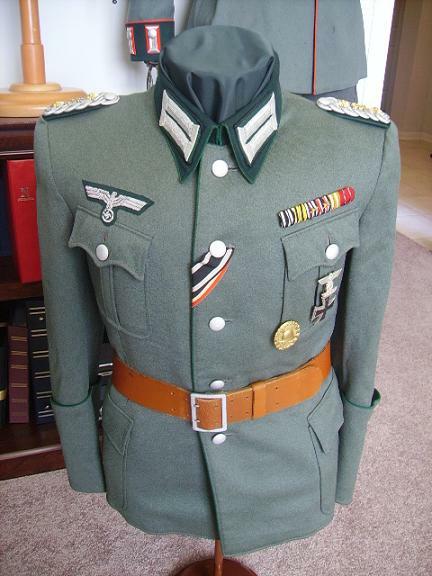 The word "administration" (Verwaltung) in the German Army covers primarily pay issues, rations, clothing, and billeting. b. DUAL POSITION OF THE CORPS AREA ADMINISTRATION. The degree of independent authority of the Corps Area Administration in carrying out its duties depends on the nature of the subject matter, which is divided into two basic categories: those in which the Corps Area Administration acts independently of the Corps Area Headquarters and is responsible only to the Army Administration Office, and those in which it acts on the orders of the corps area commander. In the latter type of subject, the Corps Area Administration functions as the IV a, or administrative section, of the corps area staff, and these subjects are usually referred to as "IV a matters". They are mostly matters connected with the administration of the corps area headquarters itself or of the units directly subordinate to it. Pay, accounting, social insurance, and allowances. Procurement, storage, and issue of utensils and general equipment. Supervision of the handling of food in processing plants and in the ration depots. Billeting, so far as it is not determined by the military decision of the corps area commander. Personnel matters of all administrative officers in the Corps Area Administration, its subordinate agencies, and Field Army units maintained by the corps area. Training of administrative officers. In principle this separation into "IV a matters" and independently handled administrative matters is carried down to the lowest administrative echelons, although the scope of their independent authority is less comprehensive than that of the Corps Area Administration. This basic division of the administrative authority is characteristic of the dual functions and responsibilities of the administrative service of the German Army. The head of the Corps Area Administration is an administrative officer in the Special Troop Service (Truppensonderdienst) with the title Korpsintendant who is at the same time the head of Section IV a of the staff of the corps area commander. As head of the Corps Area Administration the Korpsintendant is directly subordinate to the Army Administration Office; as a staff officer he is subordinate to the commanding general. Army ration main depots (Heeres-Verpflegungshaupf?mter) and army ration depots (Heeres-Verpflegungs?mter). Administrative offices of units of battalion or higher status located in the corps area (Zahlmeistereien). An additional function of the Corps Area Administration is auditing the accounts of the battalion administrative officers (Truppenzahlmeister) of Field Army units affiliated with the corps area, wherever they are located. It may issue instructions to these officers, but they are technically subordinate not to it but to the Field Army administrative headquarters at higher echelons. The Corps Area Administration is also responsible for personnel matters of administrative officers in units affiliated with the corps area and serves as their replacement unit. It also trains such officers. Section A: Fiscal matters; interpretation of pay regulations; travel, moving, and transportation allowances; welfare and pensions; vocational schools of the Army; office equipment; libraries; general rules for cashiers, bookkeepers, and auditors; office regulations for paymasters. Section B: For the duration of the war this section is known as the auditing office (Abrechnungsintendantur). It audits the accounts of unit paymasters in the field and of ordnance installations in the corps area. Section C: Rations; procurement, administration, and issue of rations through the ration depots; procurement of forage for the remount depots; bakeries; troop-kitchens; ration supply for the troops while on maneuvers; auditing of the accounts of the ration depots and of those garrison administrations with a "rations" department; auditing of the accounts of the remount depots. Section D: Supervision of the garrison administrations; auditing of their accounts; billeting; administration of real estate. Section E: Administration of hospitals; auditing of their accounts; questions concerning civilian workers; legal matters so far as not dealt with in any of the other sections; clothing; supervision of clothing depots and auditing of their accounts. Section F: Construction matters; supervision of the construction offices; civilian contracts. Section G: Procurement of living quarters for members of the staff of the Corps Area Administration. Section P: (P I) Personnel matters of the administrative officers. (P II) Personnel matters of civilian workers. e. SPECIAL ADMINISTRATIVE HEADQUARTERS. Comparable with the Corps Area Administrations, but in a special position, is the Administration for Central Army Tasks (Verwaltung f?r Zentralaufgaben des Heeres). This office is organized in the same way as the Corps Area Administrations and carries out the administration for OKH-controlled establishments in Corps Area III such as demonstration units, army specialist schools, academies, and other institutions. f. SUBORDINATE ADMINISTRATIVE AGENCIES. Of the various local administrative agencies subordinate to the Corps Area Administration, those which deal with rations and clothing form part of the organization of supply and are therefore dealt with in detail in Chapter VI below. The most important of the remaining local offices are the garrison administrations (Heeres-Standortverwaltungen). As a rule there is a garrison administration in every garrison and on every maneuver area; it is always designated by the name of the garrison town. Large cities may have more than one garrison administration. 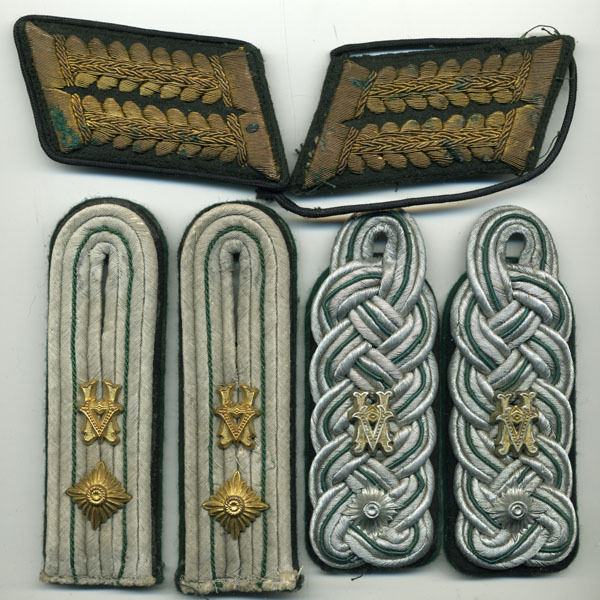 The head of the garrison administration is an administrative officer who is appointed by the Army High Command and who is directly subordinate to the Korpsintendant. The head of the garrison administration is not on the staff of the garrison commander, and there is no subordination of the garrison administration to the garrison commander. The two are expected to cooperate closely, but in practice this dual authority leads at times to difficulties which have to be adjusted by agreement between the Corps Area Administration and the corps area commander. Pay records for civilian workers (Standortlohnstelle). Pay records for soldiers (Standortgeb?hrnisstelle). Utensils and general equipment depot (Ger?telager). The real estate department handles the main task of the garrison administration, which is the management and utilization of the real estate including training area, and the erection, maintenance, and administration of the buildings and other installations owned or rented by the Army. Excluded from these are the garrison hospitals (Standortlazarette) and the installations of the remount depots, which are taken care of by these organizations themselves. The garrison finance office has the task of making payments and keeping books and accounts for the garrison administration and the construction offices (Heeresbau?mter). It also keeps the surplus cash for other local offices of the Army. Affiliated with a garrison finance office are all small unit pay offices (Zahlstellen) and branch pay offices (Nebenzahlstellen), which are only allowed to make cash payments and which therefore use the garrison finance office for other types of payment. The pay office for civilian workers keeps the pay records for these groups and instructs the garrison finance office to make the corresponding payments. 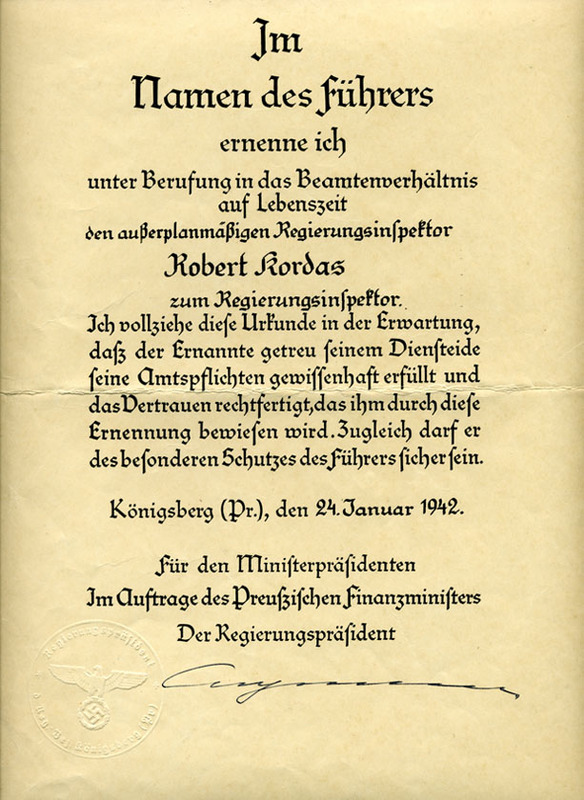 The department handling pay records of soldiers in the field determines the regular service pay (Wehrmachtbesoldung for professional soldiers and Kriegsbesoldung for all other soldiers) and makes the corresponding payments through the garrison finance office to their accounts or dependents. The utensils and general equipment depots store tools, utensils, and office equipment used in barracks and other installations. Such utensils and general equipment are procured by the Corps Area Administration, which orders one or several of the larger garrison administrations to affect the purchases for the entire area and store the goods. Another type of local administrative agency is the hospital administration (Lazarettverwaltung). This is subordinate to the Corps Area Administration as well as to the medical officer in charge of the hospital. It deals independently, under the supervision of the Corps Area Administration, with payments, bookkeeping, and accounting for the hospital. In its concern for the medical personnel, officials, and hospitalized soldiers in matters of pay, rations, and clothing it occupies the same position as the administrative office (Zahlmeister) of a unit staff. With regard to the administration of the real estate and buildings belonging to the hospital it has the same responsibilities as the garrison administration has for other property. Army construction offices (Heeresbau?mter and Heeresneubau?mter) are established by the Army High Command, which also appoints the head of the office and determines the size of his staff. The work of the construction offices is supervised by the Director of Construction (Section F) in the Corps Area Administration. Within their district Army construction offices deal with the technical side of the construction, repair, and maintenance of buildings owned or rented by the Army and give advice to the other administrative agencies. I think what should be added is that there was a major reorganisation of the Heeres-Beamten in 1944 (I think effective May 1st). 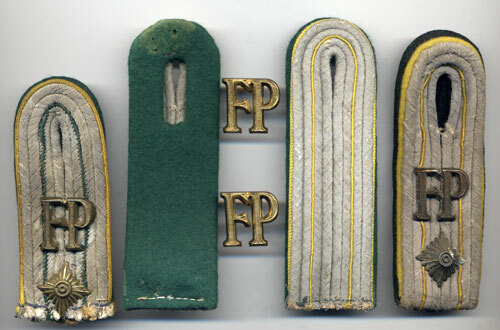 Many officials then became officers - "Offiziere im Truppensonderdienst". The reason behind this was that it had been recognized that more specialized officers were required. 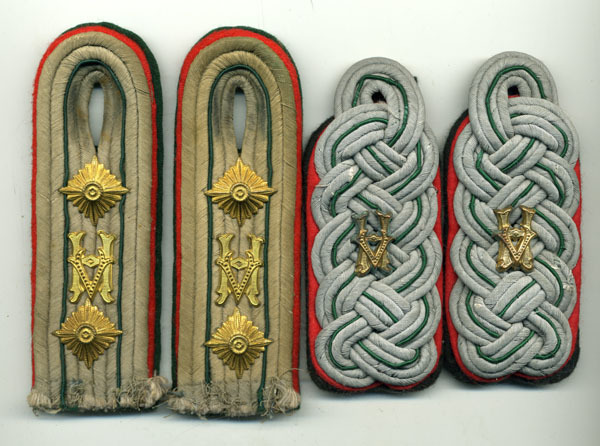 Higher ranks were Oberstintendant, Generalintendant and Generalstabsintendant. That?s a good point. As stated this is a work in progress and I have been contemplating whether to add the TSD here or make it a separate thread. Should anyone else detect any errors or omissions please feel free to let me know. Very VERY well done!! I wish I had something in addition to add! I look forward to following this thread! Here's my humble contribution - Oberst-equivalent, probably a Bauinspektor. Excellent work Laurence, and very informative. I've taken the liberty of pinning this one. Jeezus, Gordon - I HATE snakes - can you get that vid off of here??? That is a sweet tunic! Is it named? It is not named, but it came with a couple of duty and org charts for Feldkommandantur 684 in Charleville. If the guy on the charts is the guy who owned the tunic, his name was Dr. Brey. A tenuous link after 68 years, but it's all I've got. Very nice. Thanks for posting it. I have recieved some new photo's and will post them this weekend.